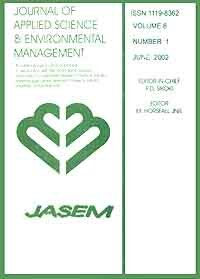 SEMINARA, CECILIA; BOLLATI, LUCIANA; AVALOS, SUSANA; DIAZ NAPAL, GEORGINA; PALACIOS, SARA M. & DEFAGÓ, MARÍA T.
Botanical insecticides are one of the environmentally acceptable options for pest management. Extract of Flourensia oolepis (known as chilca), a plant endemic to the province of Córdoba, Argentina, has shown insecticidal activity. The aim of this work was to study the effect of crude extract of this F. oolepis on the nutritional parameters of Helicoverpa gelotopoeon , a polyphagous species recently reported as one of the most serious pests of chickpea. Choice tests were conducted using different doses of extract (1 to 10%) and acetone (control), and no-choice tests, feeding larvae for 10 days with chickpea leaves treated with extract (1 to 5%), with controls (water and acetone). We used three third instar larvae per replica and 8 repetitions of each. The variables measured were: consumption, fresh and dry weight of larvae, of feces and of the leaves given every 48 hours. We calculated the feeding inhibition and nutrition indices, and survival. In choice bioassays using the 10% dose, larvae preferred the control leaves, with the extract acting as a feeding inhibitor (92%). In the nochoice test, leaf consumption was markedly reduced with extract, affecting larval growth in a dose-dependent manner (p < 0.05), as well as feed utilization and lepidoptera survival.